What does one do when they’ve been given a family name, a weighty name—a name bestowed through multiple generations—that doesn’t feel quite comfortable to bear? Such is the case for my husband. He was named George Diller Herr, III. This was never a name he thought much of or has been particularly attached to. He was never called George because that was his father’s name. Instead he was given a nickname. None of his given names leant to any great nicknames… like a Smitty or a Mac. Instead he was called Chip. He’s never really liked this name either. Some people will call him “Skip” which he HATES…and others assume the nickname is an offshoot of Charles. Living in the Philadelphia area, when my husband introduces himself as Chip Herr, the question most often asked (a solid 9 times out of 10) is “are you related to the potato chip Herrs?” (If you don’t understand this question, visit www.herrs.com for background.) Some people “hear” Chipper…and will just call him that, perhaps assuming he’s lost his last name like Cher or Madonna. It can devolve into a bit of a “who’s on first” routine. Chipper? No, Chip Herr. Mr. Herr? No, I’m a Him. Are you a potato chip Herr? No, I’m a pretzel guy. What has complicated my husband’s situation even further is that beyond his father, he’s never had any connection to the former George Diller Herrs, or as it turns out George Dillers. Why this name? Why was it so important to pass down? Who were these ancestors who sent their name forward into future generations? He hadn’t the slightest clue. In recent months I have rekindled my fascination with numerology—a sort of science of numbers based on the universal law that all things are made up of vibrations (energy), a law applied to people as well as things. Numerologists believe that each number has its own vibratory influence and therefore its own characteristics. A person’s name, day, month, and year of birth, among other factors can all be calculated to reveal very particular characteristics. I am fascinated by the information one can glean from this process. But what most piqued my interest in the subject, is the numerological belief that there is a special set of circumstances when a person is given a family name, and that perhaps, upon assuming said name, that child also takes on multiple generations of family karma. This got me thinking…can we really inherit family traits numerologically just as we can inherit characteristics genetically? What if, like my husband, you have no particular resonance with the name you’ve been given and virtually no knowledge of where the family name came from? Those of you who have read this blog before know that I have taken great pride in learning about my ancestors. I grew up with great family stories…and it’s been a real spiritual journey to discover even more about my ancestry. Finding these family names represented throughout history—in census reports, on land maps, and newspaper articles—has changed me. I look at the world a bit differently now. I thought perhaps helping my husband answer some of the questions about his own name might change the way he feels about himself. As it turns out, I didn’t have to go very far to find to make some large discoveries…only about 70 miles west of the place I current sit writing this post. But before I reveal some of what I’ve found hanging on my husband’s family tree, you need a bit more background to appreciate these discoveries (or should I say the irony of these discoveries…) My husband was raised Catholic in southern New Jersey. He believed his paternal roots were in New England. When we first met more than twenty years ago, he was living and working in Lancaster City, Pennsylvania. When we were married in the Presbyterian Church in my hometown, it was a REALLY big deal to his mother (she still hasn’t forgiven me.) Shortly after we married we moved to Providence, Rhode Island (relocating from Hoboken, New Jersey where we had first settled.) We now live in Philadelphia, PA.
My father-in-law, the second George Diller Herr was born and raised in Pawtucket, Rhode Island. He was raised Presbyterian by a devout Scottish mother. Mary Dickson, arrived in the U.S. with her parents Andrew & Mary (Ross) Dickson, in the early 1900’s. Mary’s father worked in the textile mills in Paisley, Scotland, his last job listed as a power loom operator (1901 Scotland census). Pawtucket is where the US textile industry was born more than a hundred years prior at Slater’s Mill. It makes sense the Dickson family would end up where they did as the 1920 U.S. Federal census shows Andrew working in a local dye works factory. By all accounts, Nana Herr (mother of George 2) was a large personality. Her Scottish Presbyterian presence (and that of her Dickson family) would be all the more influential in her son’s world when his father died when George was only 13 years old. Perhaps this is where the stories of the Herr & Diller names would start to disappear from family legacy. 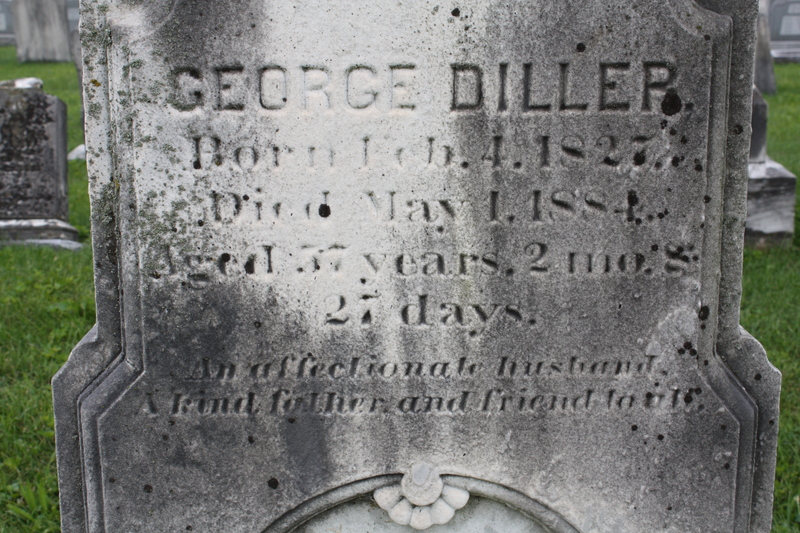 Even George’s grandmother (Mary Diller Herr) would die just after his 15th birthday, following her own husband who had died before George (2) was born. My introduction into the world of the first George Diller Herr started with the 1940 Federal census. It was here I discovered he was born in Pennsylvania. I already knew that this George had a father named Rufus. 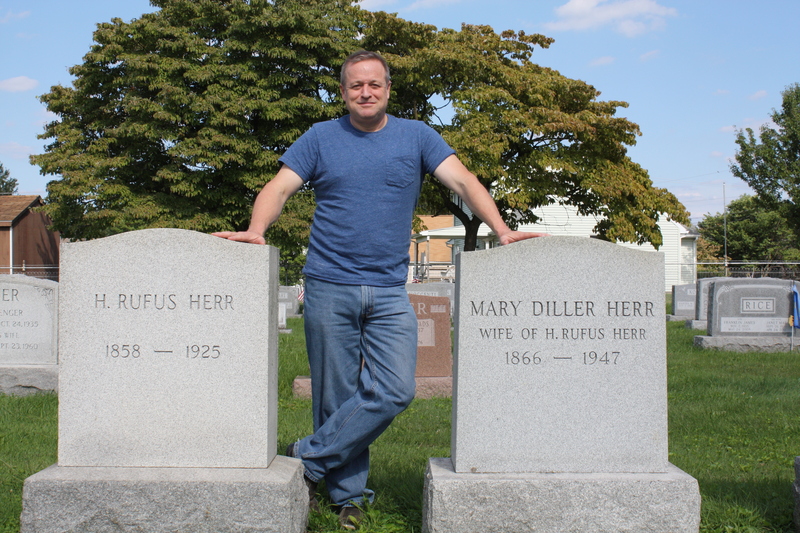 Turns out he was actually named Henry Rufus Herr and George’s mother was named Mary Diller. Rufus & Mary Herr had two sons, their eldest was named after Rufus’s father, John Forrer Herr, the younger was named after Mary’s father, George Diller. Upon graduation, his Mechanical Engineering degree would take him to the center of the textile industry, where by age 24 he was employed at a Bleachery factory. During WWI he was employed by E.I. DuPont de Nemours & Co. in Hopewell, VA as a munitions worker. He would return to Rhode Island where he would resume working in the textile industry. By the time he married Mary Dickson in this mid-30’s, he appears to be prosperous enough to take his wife on a cruise aboard the Fort Victoria to Hamilton, Bermuda in September of 1926. By the 1940’s he was in a supervisory role at the Sayles Finishing Plants, Inc. of Lincoln RI. 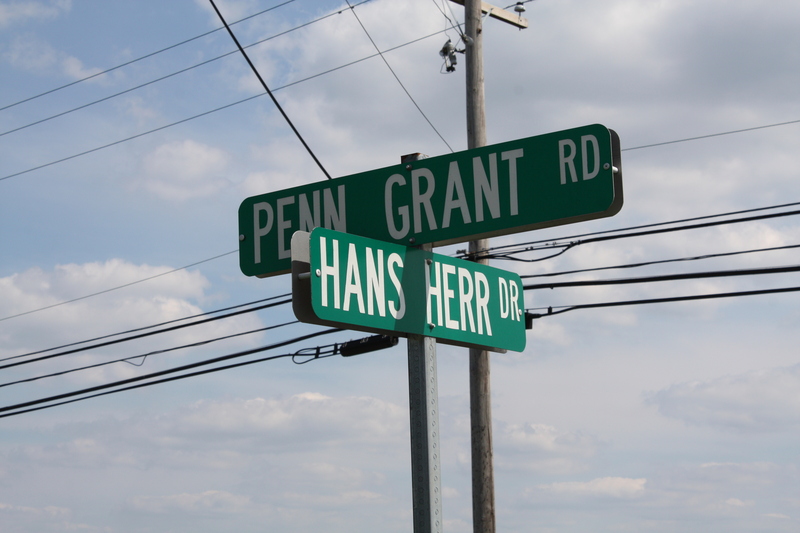 There is much to be said about the Herr clan, but for now, I will just say it is a revelation that the first George Diller Herr found his way out of Pennsylvania, for he (along with his brother John) was the first to do so from his particular family branch. By doing so, they had left behind family land and a family legacy more than 200 years and 7 generations in the making. It was their father Henry Rufus Herr who started the ball rolling when he married Mary Diller. His marriage might not have been an easy decision, for he came from a long line of Swiss Mennonites, and the woman he married was a Reformed German Lutheran. With his marriage, he would likely have said goodbye to his entire family, who would not tolerate a marriage outside their faith. Based on the evidence of where his parents and siblings are buried, only Rufus and his brother John Ellsworth Herr are resting in non-Mennonite burial grounds. I need to dig a bit deeper, but the big revelation here is that the Herr family is not German, but Swiss (having come to the Colonies through Germany and England.) The Herr family received their land patent directly from the Penn family in about 1710, and they were among the earliest settlers of the area. The story of the Mennonites in Lancaster County PA , the Herrs and ancillary families, will be covered in Part 2 of this post. But for now we will switch to the Diller side of the story…to Mary Diller Herr’s father, and the eponym of her second son George Diller Herr (1). Mary Diller Herr’s father, George Diller was born in 1827 into a distinguished family. 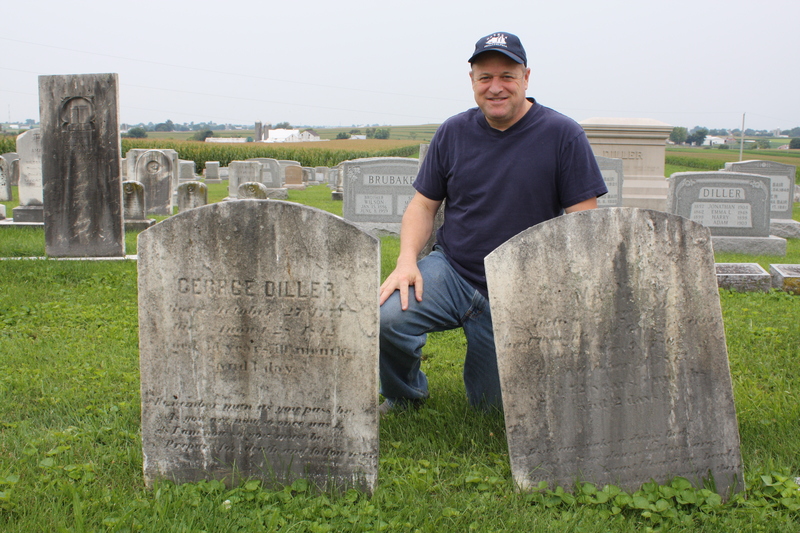 When I started looking for “George Diller” in Lancaster County, PA, I found many of them. There appears to be at least one (and really multiples) in every generation of the Diller family. The earliest I found being born in 1777. That would make more than 200 years of George Dillers living in Pennsylvania. 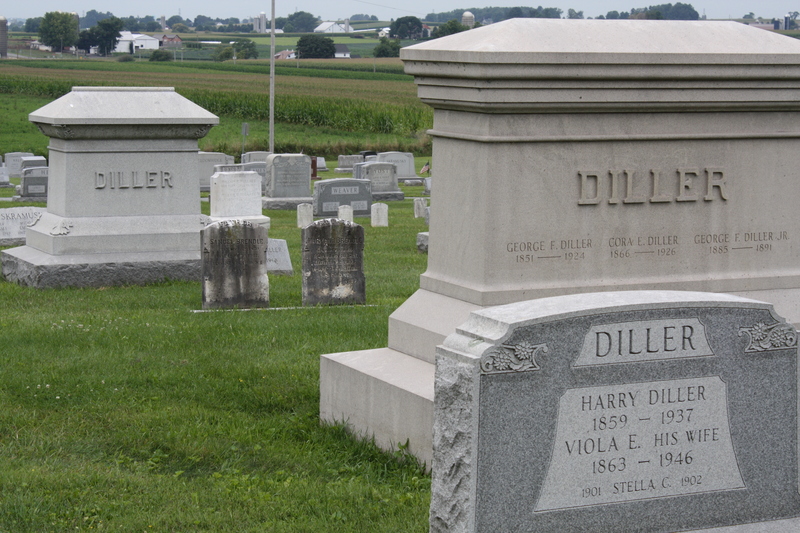 But the Diller name goes back even further in Pennsylvania, to Caspar Diller (1675-1775). A book written about the Diller family in the 19th century states that Caspar’s father, who was from Alsace France, was forced to leave his home due to the Catholic persecution of his Protestant views. It is believed he escaped to Holland sometime before 1700, where he became a shoemaker. Caspar found his way to England where he met his wife Barbara, but would be sent to Germany (perhaps by edict of the British Royalty) where several of his children were born. Philip Adam Dieler (1723-1777) was born near Heidelberg before the entire family would immigrate to the Pennsylvania Colony seeking religious freedom—arriving about 1733. Philip & Maria’s son Adam (1746-1823) would marry Salome Yundt in 1769 and serve as a soldier of the Fifth Company, Eight Battalion in the Lancaster County Pennsylvania Militia, during the Revolutionary War. Adam’s nephew (through his brother Leonard) also named Adam Diller (1789-1823) would serve as the Adjutant-General of Pennsylvania and would also fight in the War of 1812 & the Mexican American War. 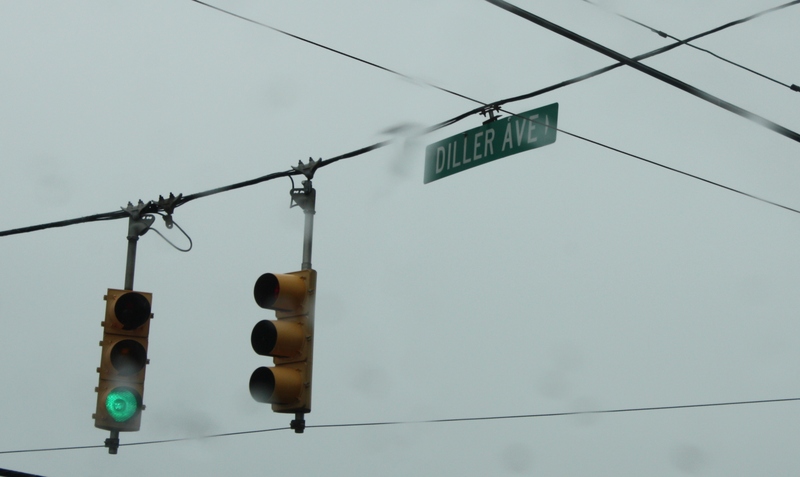 (Dillerville PA would be named for General Diller.) But it is Adam (1746-1823) and his wife Salome who would produce the first George…naming their third son George Yundt Diller (1777-1842). At this point I am assuming that George was also a farmer, as his sons would be. Our line runs through Isaac (1804-1865) who appears in the U.S. Federal census as a farmer living in Salisbury Township, Gap Pennsylvania—but one of means—his wealth is listed in 1860 as $15K in real estate and $1500 in personal property, along with 2 house servants to cater to his 4 family members. 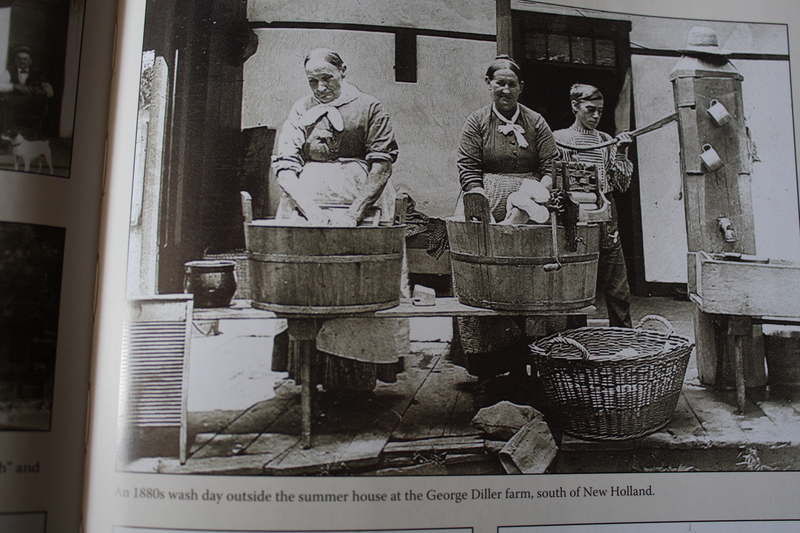 Isaac’s brother George was also a farmer with land in nearby New Holland. Isaac and his wife Elizabeth would name their second son George (1823-1884). This George married Hannah Rutter. 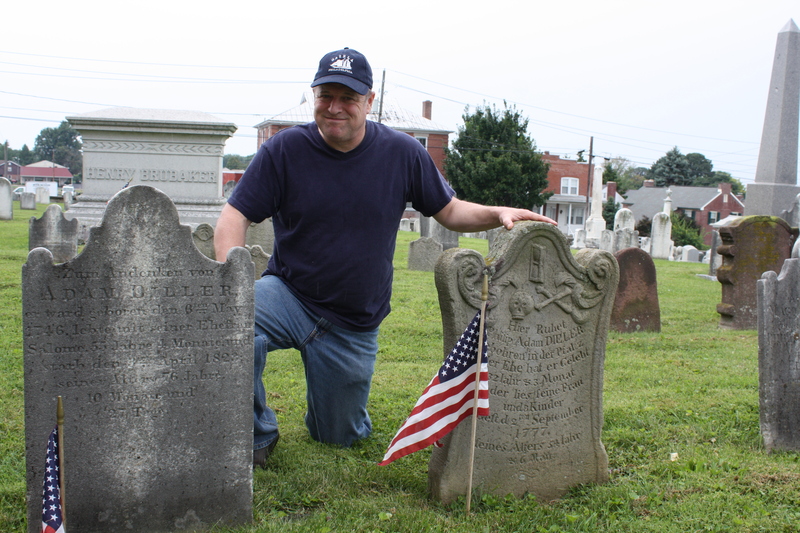 Hannah was descended from Conrad (Bucher) Rutter who arrived in Philadelphia on the ship “America” in 1683. The Rutter family initially settled in Francis Daniel Pastorius’ Germantown settlement in Philadelphia, but would purchase land in Leacock Township where they would remain for the next hundred and fifty years prior to Hannah’s birth. 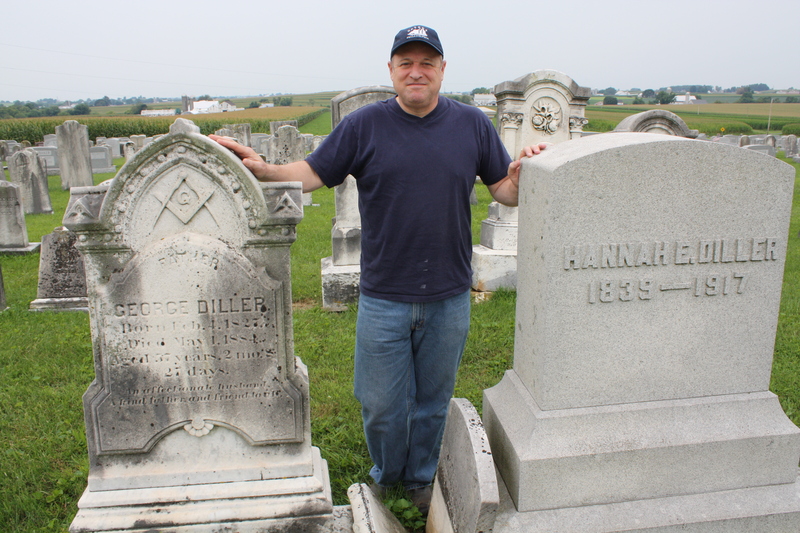 George and Hannah broke tradition with their farming roots and became “Hotel keepers” running hotels in Leacock, Salisbury Township, and Paradise Township. 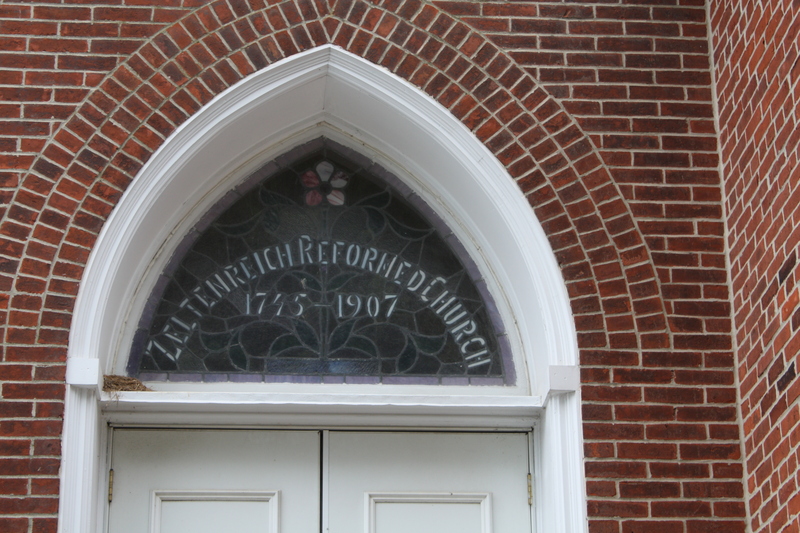 George & Hannah Diller were members of the Zeltenreich (German) Reformed Church in New Holland. Hannah gave birth to eight children, including one named George who died before the age of 2. Their fifth child Mary was born in 1866. Oh and my husband tells me he’s now contemplating adopting his given name for everyday use. No more Chip. You may now call him George. The Leukemia Card: Yeah, I played that. thanks Becky…you made my day! Very interesting…with or without the potato chips, I miss your husband George his dad. Two great guys…..perhaps we can have dinner the next time I’m in Philadelphia….